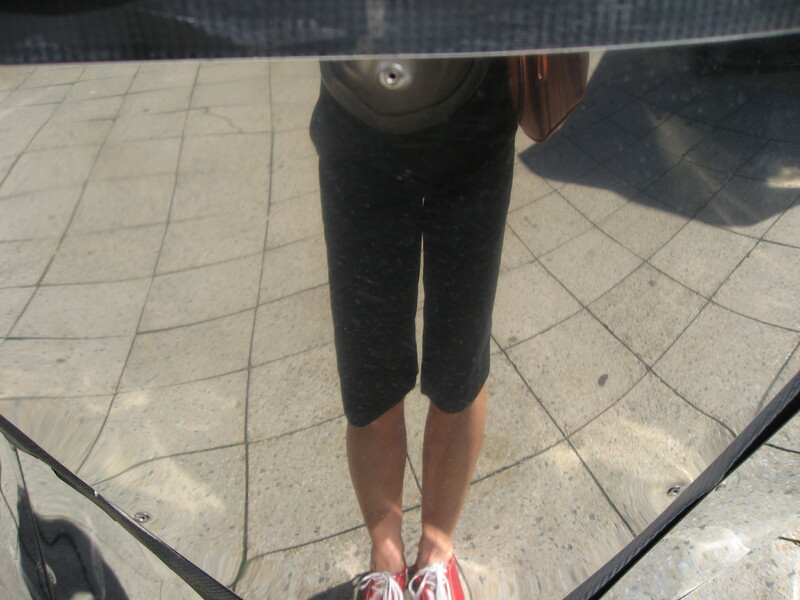 This photograph was taken at the newly renovated and refurbished Auckland Art Gallery, which I absolutely love. It is stunningly beautiful and houses many wonderful works of art including the above installation entitled Environment III (1973) by Belgian artist Luc Piere (1916-1994). 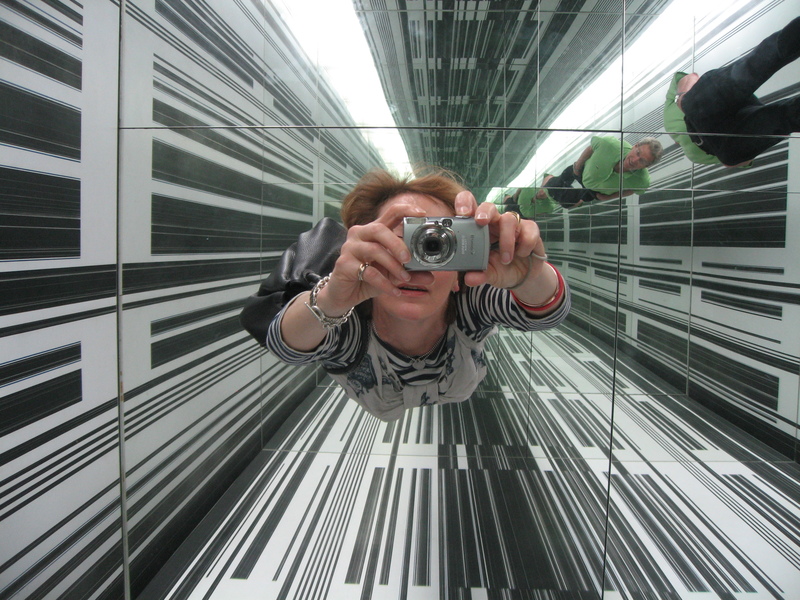 It is made from mirrored glass, perspex and paint. Superb! Whenever I’m in Auckland, I put at visit to the Art Gallery at the top of my agenda … and Environment III. It never fails to inspire, excite and delight. This entry was posted in Design, Photography, Travel, Uncategorized and tagged Auckland City Art Gallery, Environment III, Inspiration, Luc Piere, Special photo challenge on November 22, 2012 by Rossi. 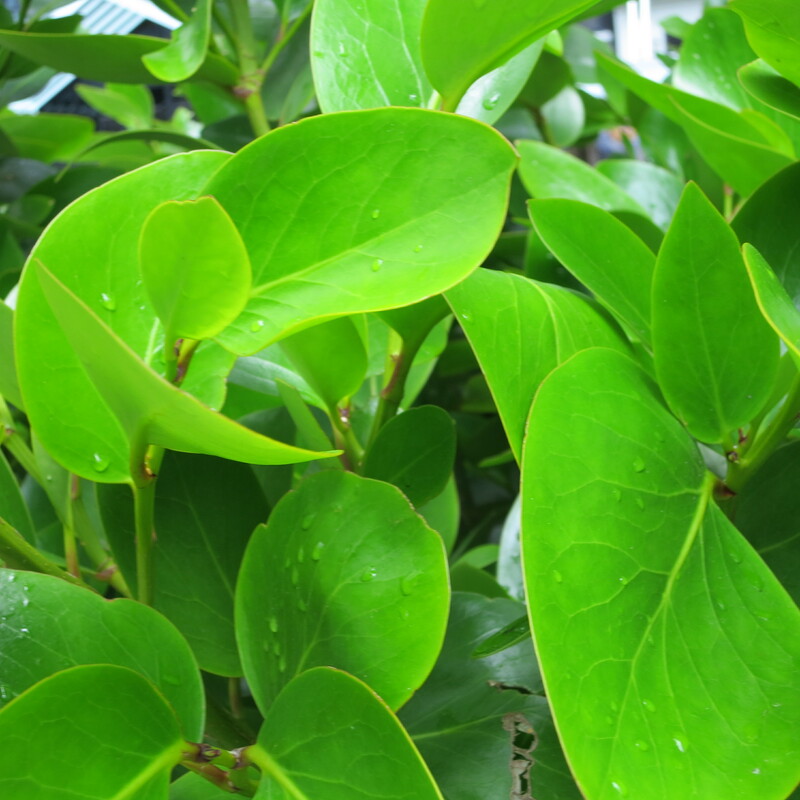 I know the choice of leaves is an obvious one – but I was drawn by the richness colour and the waxy texture. I have no idea of the plant species and would welcome your ideas. Photographed in Midland Park, Wellington 17 November, 2012. This entry was posted in Photography, Uncategorized and tagged green, leaves, Midland Park, weekly photo challenge, Wellington on November 18, 2012 by Rossi. 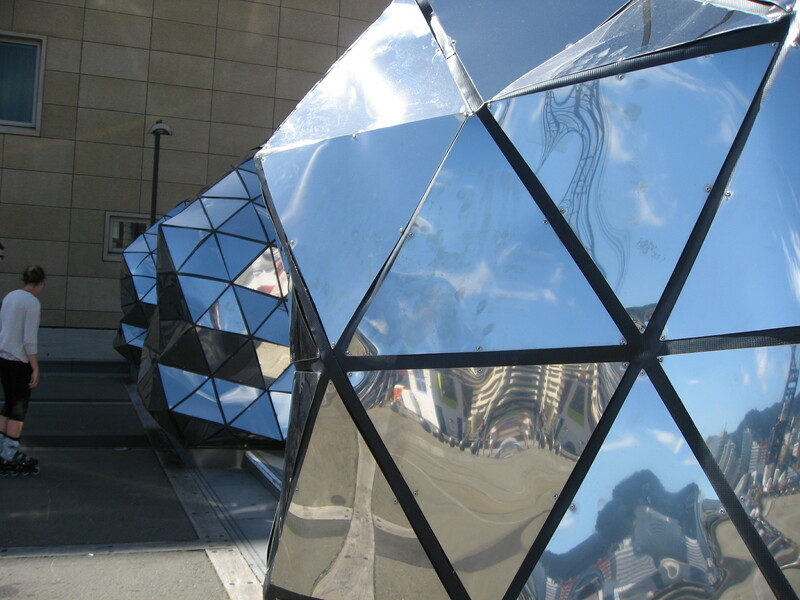 This one geometric sphere was part of an exhibition on Wellington’s waterfront some months ago. This work is one of several identical mirrored objects of Memetic Brotherhood by artist Peter Trevelyan. The exhibition was not a permanent one. The site is used for different exhibitions of outdoor sculptures which change every few months. There have been some absolutely stunning works over the past couple of years – but this has is my favourite to date. 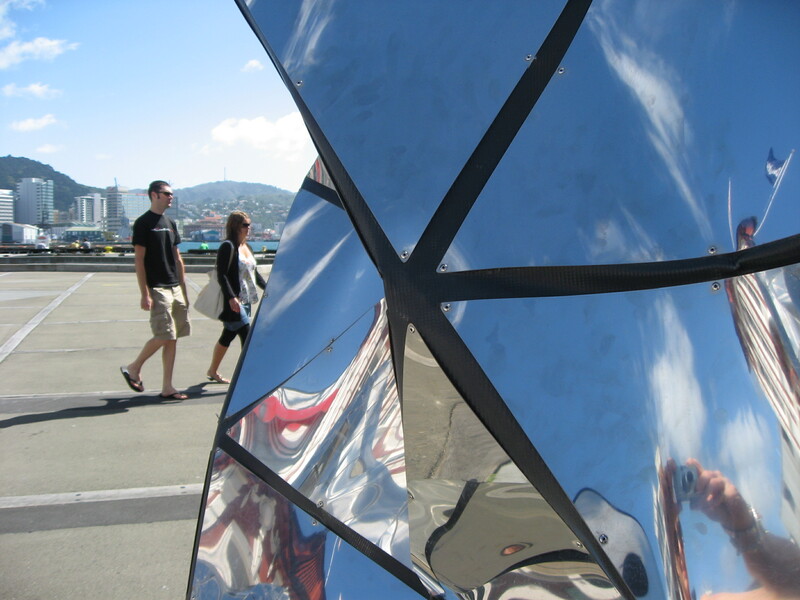 The exhibition space is in front of The Museum of New Zealand Te Papa Tongarewa in Wellington. 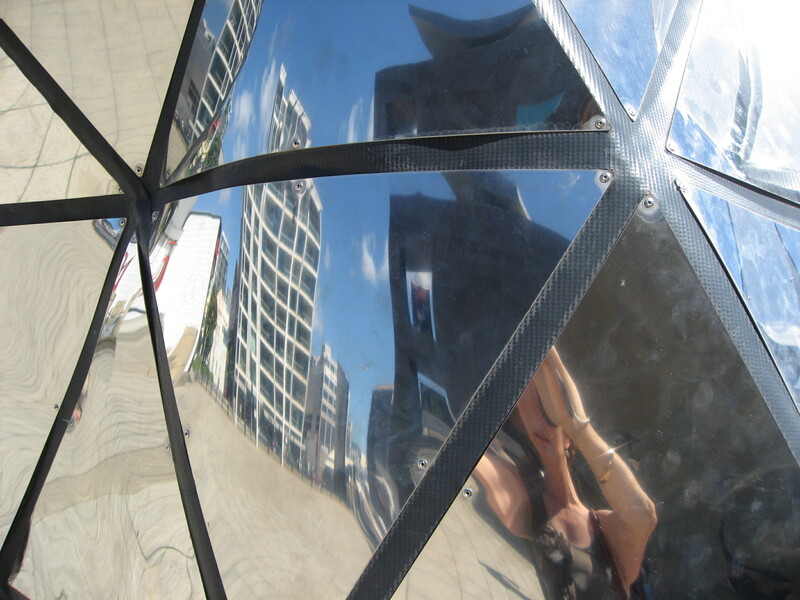 This entry was posted in Design, Photography, Uncategorized and tagged geometry, Mimetic Brotherhood, Museum of New Zealand, Peter Trevelyan, Te Papa Tongarewa, weekly photo challenge, Wellington on November 8, 2012 by Rossi. My last post was a shot taken of this same structure and I asked if anyone would like to hazard a guess as to what and where it is. 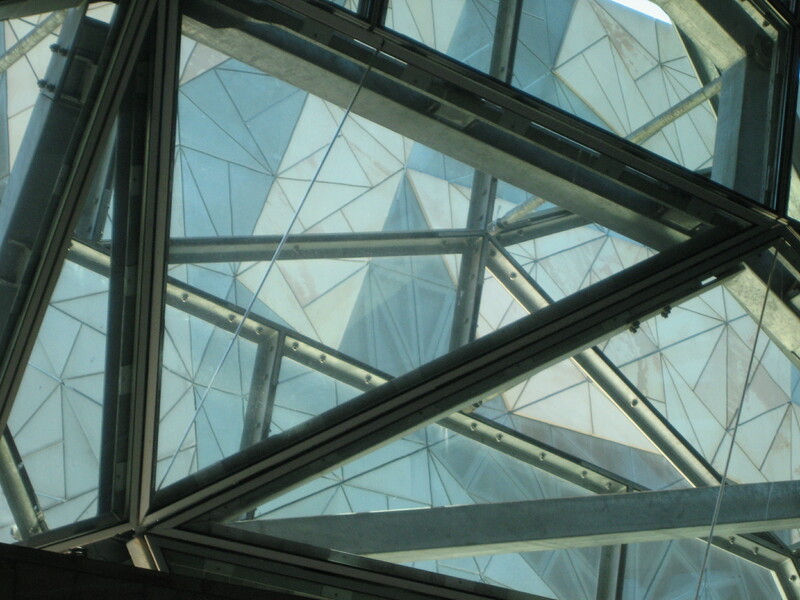 I took this photograph in Melbourne – Federation Square to be precise. The building is a combines an arts centre, art gallery and a small shopping precinct. It’s pretty incredible, a real feat of engineering! Plus loads of windows to clean…. Tomorrow, on the same theme, I’ll show you something closer to home. 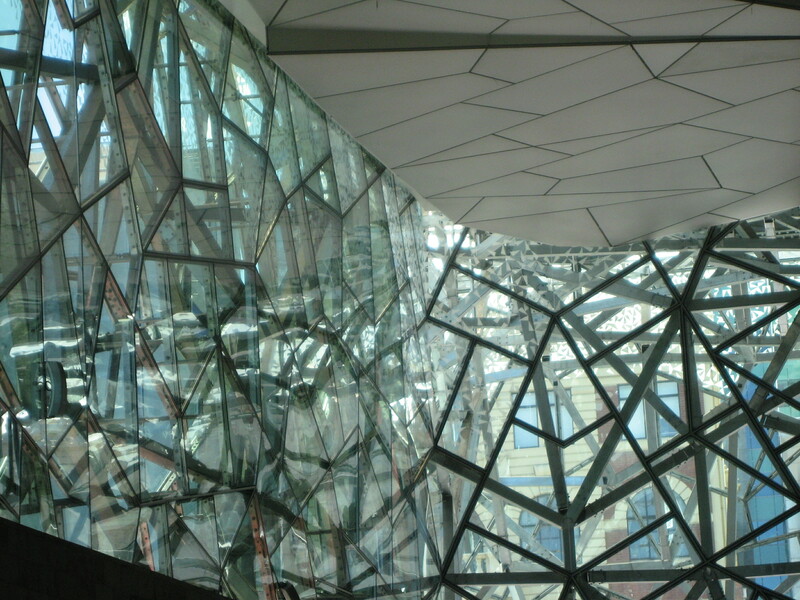 This entry was posted in Design, Photography, Travel and tagged Federation Square, geometry, Melbourne, weekly photo challenge on November 6, 2012 by Rossi. Would anyone like to take a guess …. I’ll give you a clue, Southern Hemisphere. This entry was posted in Design, Photography, Travel and tagged geometry, weekly photo challenge on November 3, 2012 by Rossi.